Create professional looking photos with your own home studio. 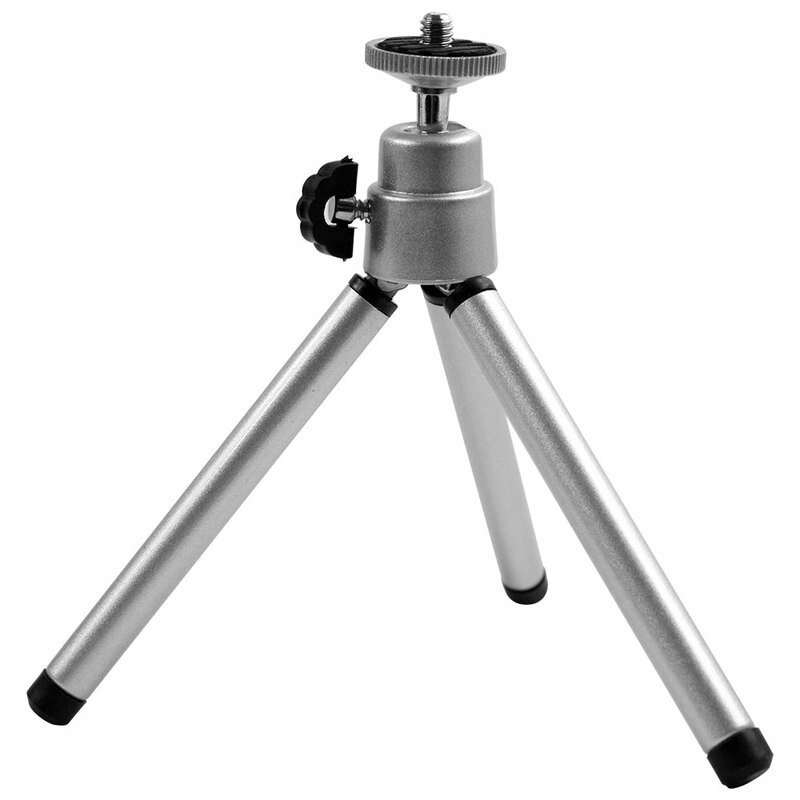 A tripod for use with your own digital camera. 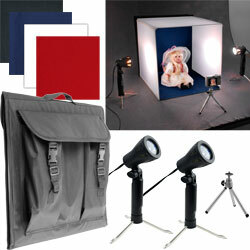 The studio quality table top lighting ensures even color and clarity. 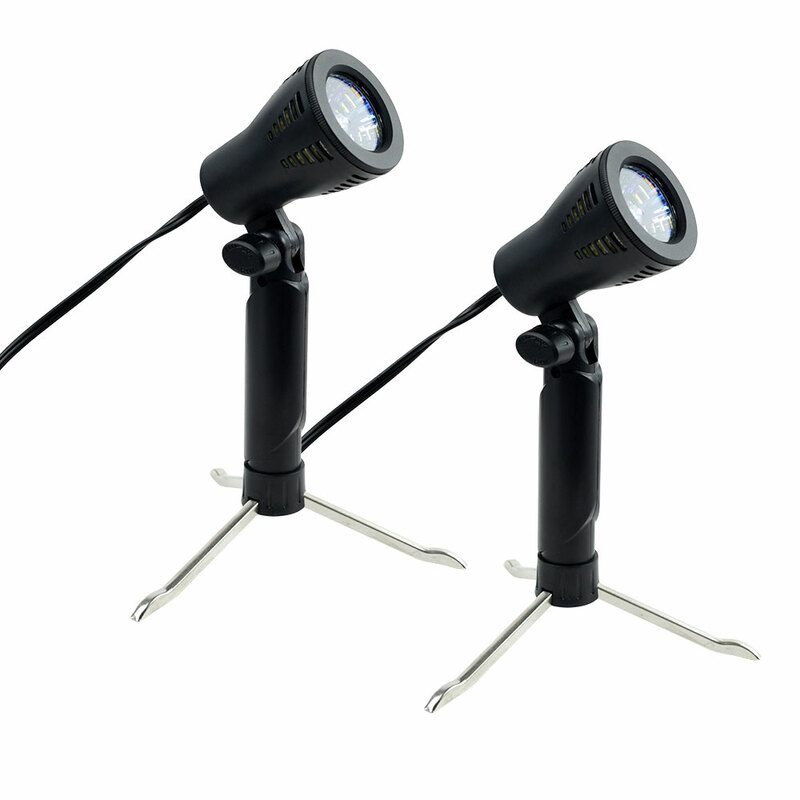 Lighting also features retractable legs for placement or hand held use. Adjustable camera tripod for exceptional blur-free camera shots. 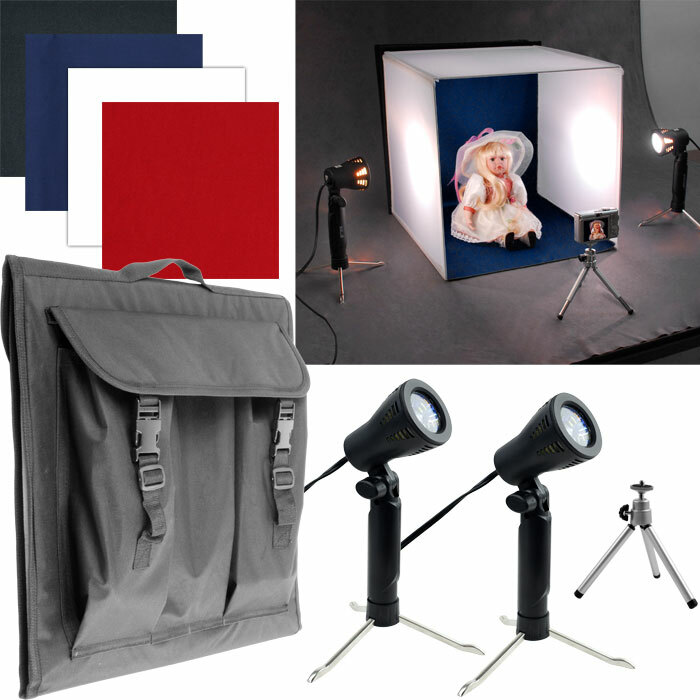 Soft lighting diffusion box with red, white, blue and black fabric backgrounds. 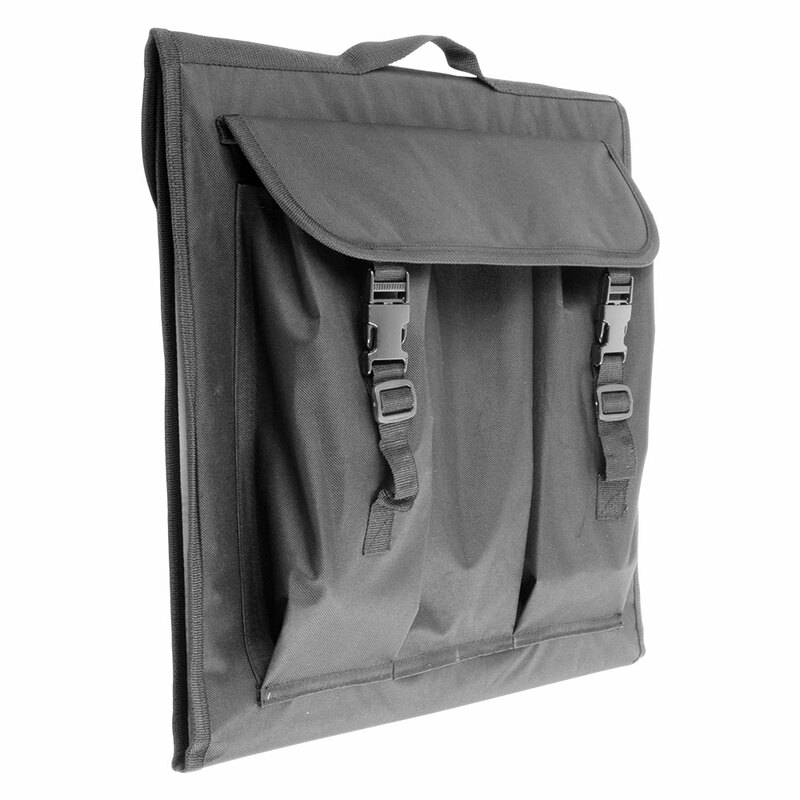 Also a fantastic carrying case, so that you can take your professional studio on the go. Great for online auction advertising. Such as: eBay, Amazon, overstock and much much more!